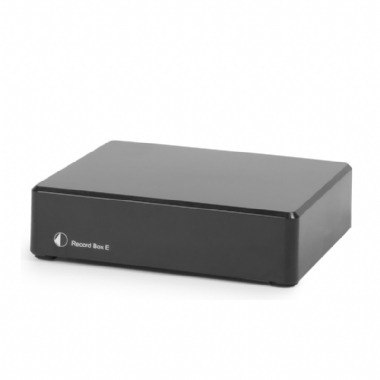 The ProJect Record Box E is a high quality pre-amplifier with built in USB to let you record your vinyl to your computer in high definition. We are also including a quality stereo RCA cable to connect to your HiFi (not normally included). This introductory level phono stage is designed specifically to amplify your moving magnet or moving coil cartridge output to line level. The form factor of the unit is small and subtle, so it can be placed near the turntable/amp without being intrusive.